Fascia boards available in plain and taurus/ogee style in white, woodgrain and brown. 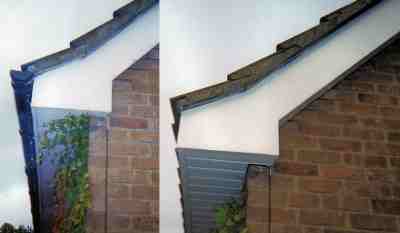 Soffit boards available in plain and cladded effect. 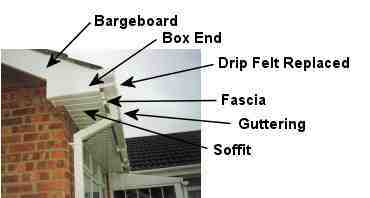 Square, round and ogee style guttering available in white, black or brown. 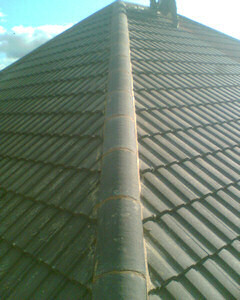 Dry verge end caps available in brown or grey. 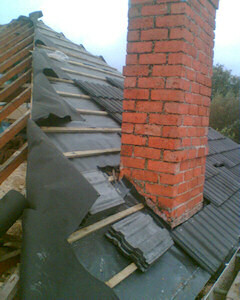 Full replacement or capping available on request. Your home is under constant attack from the elements and there is nowhere more difficult to get at with a paint brush, or more prone to damage from the elements, than the boarding around the edge of your roof. 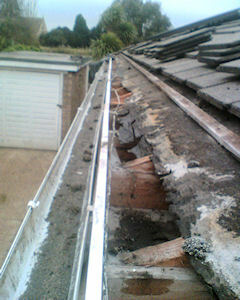 Maintenance Free uPVC will solve this problem for you. 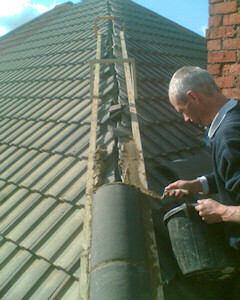 uPVC as can be seen below, will never need painting and will not rot, maintaining their good looks for years. 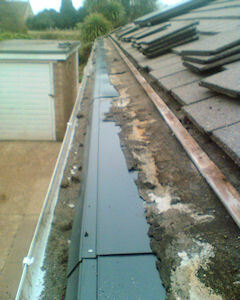 How many times do you have to spend your weekends risking life and limb up a ladder, or pay a painter to do the same before it becomes cheaper and more cost effective to have a uPVC low maintenance roofline installed? YES - we take off all the timber. YES - we renew your felt. YES- we fit bird guards. YES - we take all rubbish away. in Swindon, Oxford, Reading & Gloucester.